John: Could you give us an update on where you are with the Certification in the Cloud program? 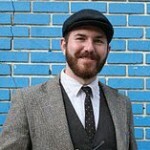 Ralf: The uptake, adoption and increase of Certification in the Cloud is tremendous! Over the years we have seen a significant increase in the volume of candidates taking exams in the cloud; the numbers doubled from 2016 to 2017 and increased almost by 60% in 2018. 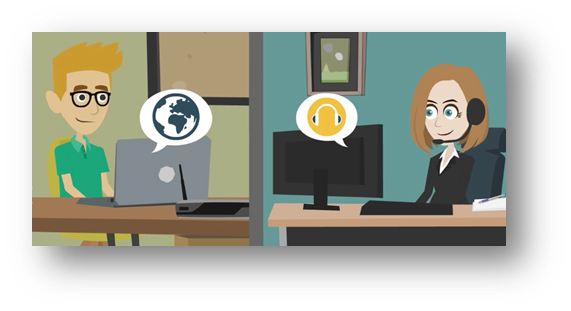 This means more than 50% of SAP Global Certification exams are now done remotely! John: Are all your SAP Global Certification exams now available online in the cloud? Ralf: Nearly so. By mid-2019 we plan on having the complete portfolio of every SAP exam available on the cloud. This is great news for our learners who have invested in a Certification in the Cloud subscription. So, we then have Certification in the Cloud not only for SAP SuccessFactors and SAP Ariba, but for all products, including SAP C/4HANA. John: How many different languages are your exams translated into? Ralf: This depends on the portfolio. Some of our certifications are available in English and others, such as for SAP Business One are translated in up to 20 languages. John: How are you dealing with the fast pace of change within SAP software in a certification context? How do you ensure certifications stay up to date when the software changes? Ralf: This is of course a challenge. In previous years, it was the case of getting certified once every few years. However, now you must keep your skills up-to-date and stay current with quarterly release cycles of our SAP Cloud solutions. Also, for people who are first timers or newly enter the SAP eco-system; it is important that they are certified on the latest quarterly release. To help overcome this challenge, we have developed an agile approach to updating our exams; we use the Questionmark platform for those who are new to the eco-system to help them getting certified initially. We also have a very good process in place and often use the same subject matter experts when it comes to keeping up to the speed of software changes. For already certified professionals, another way to remain up to date is through our ‘Stay Current’ program. For some of our solutions, partners have to come back every 3 months to show that they are staying current. They do this in the form of taking a short “delta” knowledge assessment. For instance, for certified professionals of SAP SuccessFactors it is mandatory to stay current in order to get provisioning access to the software systems. In 2018, SAP’s certification approach was acknowledged with the ITCC Innovation Award. Industry peers like from Microsoft, IBM and others recognized this great achievement with this award. Research has shown that assessments play an important role on learning and retention — and the benefits vary before, during and after a learning experience. No matter where learning occurs, the goal remains the same: ensuring people have the knowledge, skills and abilities to perform well. 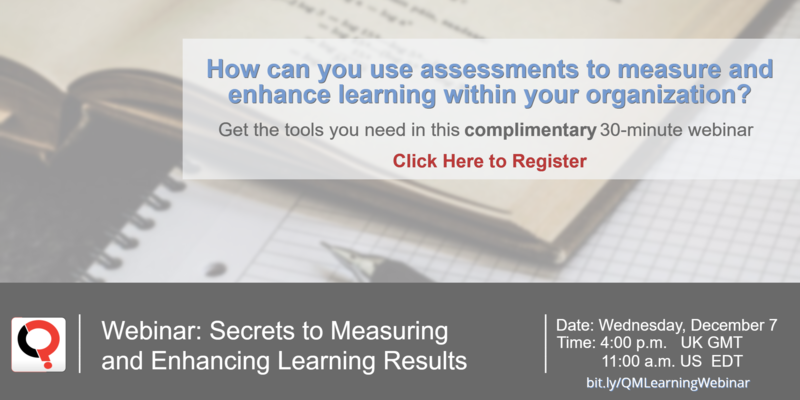 So, how can you use assessments to measure and enhance learning within your organization? Check out our newest 30-minute webinar – and register today! Join us as we discuss the important role assessments play within the learning process and explore the benefits of using them before, during and after learning. We’ll also give you some useful pointers and resources to take away. Register for the webinar now. We look forward to seeing you at the session! If a bank faces a fine of millions for money laundering and then can prove, defensibly, that the ‘accused’ had passed competency tests, would that reduce or eliminate the fine? More generally, suppose employees do something wrong and the corporation is facing a regulatory fine. Does it make a difference if those employees were certified? Is it a defence against regulatory action that you took all the measures you could to prevent error? We are asked this question from time to time, and the answer varies considerably by regulator and by offence. But in general having competent/certified people and good compliant processes will reduce the impact to the corporation of making a compliance mistake. In some cases it might eliminate a fine, but usually not. Here are three specific examples where a good compliance program can reduce or eliminate fines. Prosecutors should therefore attempt to determine whether a corporation’s compliance program is merely a “paper program” or whether it was designed, implemented, reviewed … in an effective manner. In addition, prosecutors should determine whether the corporation has provided for a staff sufficient to audit, document, analyze, and utilize the results of the corporation’s compliance efforts. Prosecutors also should determine whether the corporation’s employees are adequately informed about the compliance program and are convinced of the corporation’s commitment to it. This will enable the prosecutor to make an informed decision as to whether the corporation has adopted and implemented a truly effective compliance program that … may result in a decision to charge only the corporation’s employees and agents or to mitigate charges or sanctions against the corporation. Similarly, in Spain, the Spanish criminal code has been updated so that companies may avoid criminal prosecution if they have an effective compliance program in effect including evidence that employees have had sufficient training in the compliance program. In general, the issue is more diffuse. For example, the UK Financial Conduct Authority, which has issued many huge fines over the years (see graph right), does not seem to explicitly reduce fines based on compliance measures. 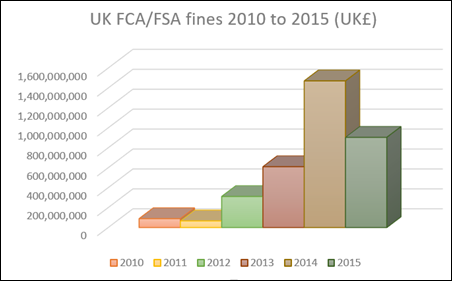 But its Penalties Manual does say that fines should be increased if the actions are deliberate or reckless or if the breach resulted from systematic weaknesses in the firm’s procedures. Equally, if the breach was inadvertent and there is no evidence that the breach indicates a widespread problem or weakness, the fine might be lower. So how best to summarize this? The biggest benefit of a programme for competency testing for employees is that, in conjunction with other compliance measures, it will reduce the chances of an infraction in the first place. Having certified or competent people is not a “get out of jail free” card but if part of a professional compliance programme, it will help with many regulators in mitigating financial penalties after an infraction. In my first post in this series, I explained that survey respondents go through a four-step process when they answer each question: comprehend the question, retrieve/recall the information that it requires, make a judgement on the answer and then select the response. There is a risk of error at each step. I also explained the concept of “satisficing”, where participants often give a satisfactory answer rather than an optimal one – another potential source of error. Today, I’m offering some tips for effective online attitude survey design, based on research evidence. Following these tips should help you reduce error in your attitude surveys. Although these are one of the most common types of questions used in surveys, you should try to avoid questions which ask participants whether they agree with a statement. There is an effect called acquiescence bias, where some participants are more likely to agree than disagree. It seems from the research that some participants are easily influenced and so tend to agree with things easily. This seems to apply particularly to participants who are more junior or less well educated, who may tend to think that what is asked of them might be true. For example Krosnick and Presser state that across 10 studies, 52 percent of people agreed with an assertion compared to 42 percent of those disagreeing with its opposite. If you are interested in finding more about this effect, see this 2010 paper by Saris, Revilla, Krosnick and Schaeffer. Satisficing – where participants just try to give a good enough answer rather than their best answer – also increases the number of “agree” answers. How would you rate your health overall? For the same reason, you should avoid Yes/No questions and True/False questions in surveys. People are more likely to answer Yes than No due to acquiescence bias. How satisfied are you with your pay and work conditions? However, someone might be satisfied with their pay but dissatisfied with their work conditions, or vice versa. So make it two separate questions. Use as few words as possible in question and responses. Use words that all your audience will know. Where possible, ask questions about the recent past not the distant past as the recent past is easier to recall. Decompose complex judgement tasks into simpler ones, with a single dimension to each one. Where possible make judgements absolute rather than relative. Avoid negatives. Just like in tests and exams, using negatives in your questions adds cognitive load and makes the question less likely to get an effective answer. The less cognitive load involved in questions, the more likely you are to get accurate answers. The order of responses can significantly influence which ones get chosen. There is a primacy effect in surveys where participants more often choose the first response than a later one. Or if they are satisficing, they can choose the first response that seems good enough rather than the best one. There can also be a recency effect whereby participants read through a list of choices and choose the last one they have read. In order to avoid these effects, if your choices do not have a clear progression or some other reason for being in a particular order, randomize them. This is easy to do in Questionmark software and will remove the effect of response order on your results.